Technology has evolved dramatically over the last few decades and it is continuing to advance by changing the ways things are being done all over the globe. Some of these changes have been very creative, innovative and groundbreaking as they affect numerous industries at one time. In fact, it is often difficult to keep up with all of the awesome innovations that you have access to from one day to the next, even if you are actively seeking to keep up with the latest technical advancements. More importantly, it is not uncommon to completely miss new technical releases as they happen. This is especially true when it involves advancements in music and the technology that drives the instruments and equipment that will be used in future years. 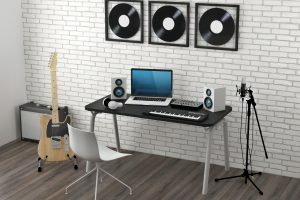 It is important that virtually every musician and artist pays special attention to the changes that recently have been made and compare them to the types of musical software and hardware that they need. Some current technology will be replaced by new versions and brands, while others will simply be incorporated into the new era with a new face or meaning. So, it is very important to know what to expect when utilizing some of the recent audio and recording devices like multi-track recording and audio interface solutions. Therefore, for those of you who are interested in what multitrack recording and audio interface has to offer today, here’s a brief overview of each and some of the associated benefits. There are many different types of multitrack recorders on the market today, many of which have specific features that artists look for when they are looking to buy and use them for their purposes. Since all of these devices are not the same, it is important to choose the functionalities that will work best for your needs. In some cases, these devices will be used to support large and small field projects so they will be used for long hours at a time. When this is the situation, you will need to make sure that you have a device that operates on batteries and an adapter because the batteries for these devices normally last for about 4 hours, so they may not last long enough for you to complete the project that you are working on. On the other hand, if you have a multitrack recorder that operates with an adapter and batteries, you can have access to the power that they need in order to last the extra hours. Audio Interface products come in a wide range of different devices. You may find that you can obtain what you need via a USB audio interface as well as in other forms. For instance, a USB audio interface can provide you with the capability of using a computer with a sound card instead of an audio socket. Therefore, the equipment you are using can be connected with the external equipment and a USB socket. When this method is used, however, one common issue or drawback is the sound quality that it presents, since this method may be inferior to other options that are available. Further, it is also important that you understand what options you have available when looking for a high-quality audio interface solution. There are at least 2 categories of audio devices: stereo and multi-channel devices. Both are usually compatible with USB 1.0 and USB 2.0. Some of the top multitrack recorder manufacturers have released products that integrate audio interface into their multi-recorders. Therefore, those who have these specific needs can solve two issues with one solution. For instance, the Zoom H4N Digital Multitrack recorder provides several different types of features you can use to broaden your capabilities., some of which give you the option of utilizing a 4-in/2-out USB audio interface and a Built-in stereo X/Y microphones, up to 140 dB SPL. You can take advantage of additional functionalities when you are completing their projects. When you are looking for devices and equipment to record your sounds today, you are normally searching for the best performance and value that you can find on the market. When searching for a multitrack recorder and audio interface solution, you need to know what is available at the time. Fortunately, there is a lot of great information online that can address these needs, such as more detailed information on a wide range of options from the manufacturer of the same or similar products, along with consumer feedback. So, for those of you who are interested in learning the different options available in multitrack recorders, versus what is available for audio interface, you may find that both can be purchased independently or as an integrated one-size-fits all solution.